Jet Widick's poetry is a colorful mosaic of life experiences: the places we’ve been, the people we meet, and the things we love. Featuring a treasure trove of humorous poems about our favorite foods to glittering gems about science and art, every child who opens this book will find a whimsical world of surprises to inspire a lifelong love of poetry. 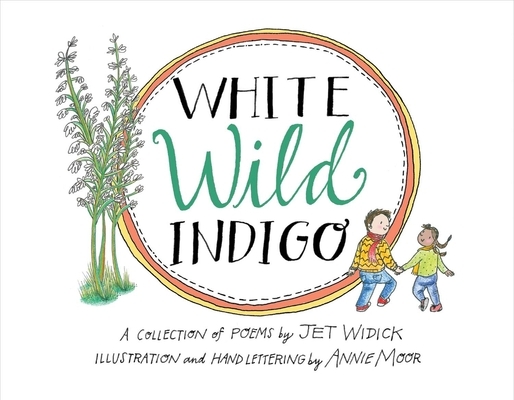 Poet and author Jet Widick has written two illustrated poetry books Sage Words (August, 2016) and Sage Spirit (February, 2017), both hand-lettered by California artist Kimberly Taylor-Pestell. She has also produced a Poetry In Motion series of animated poems excerpted from her Sage books. That’s where the name Jet comes in. Her sons gave her the nickname (short for Jeanette) once she became healthy and transformed herself; destined and determined to grow into the mighty oak tree from the acorn. The name embodies her journey of self-exploration, fueled by her love of nature, and taking off with tremendous creative energy and vitality.